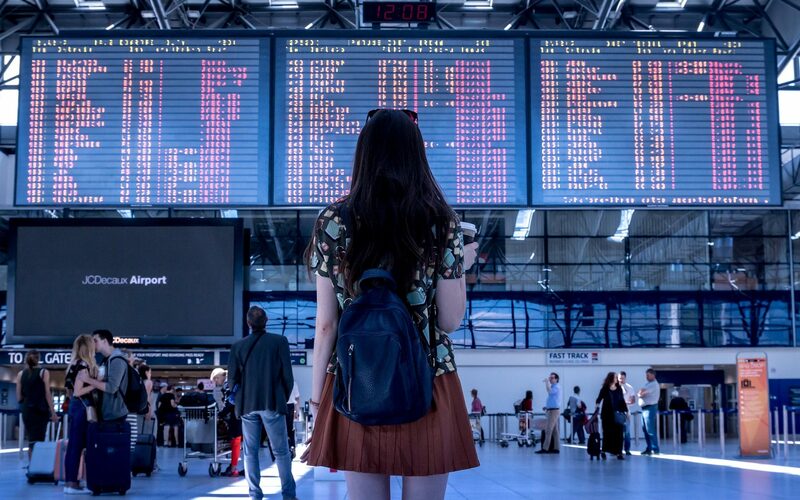 On 29 October, as a part of its series of policy briefs, the College of Europe University published a concise paper entitled Consumer Rights Improve Service Quality: Evidence from EU Air Passenger Rights. Authored by Dr. Hinnerk Gnutzmann and Dr. Piotr Spiewanowski, the paper eloquently provides evidence that the Regulation works, and it works well. Passenger rights are one important part of the EU’s overall objective to offer consumers maximum protection, which is laid down in Art. 169 of the Treaty on the Functioning of the European Union (TFEU). The authors of the paper published yesterday prove that the Regulation “has not only strengthened the protections of passengers on severely delayed or cancelled flights (insurance component), but also increased the reliability of EU airlines across the board (service quality component)”. The paper furthermore shows that European air passenger rights are remarkably strong compared to other parts of the world. In all other countries, policies put less emphasis on the consumer and the insurance component is not present. This results in little to no positive impact on delays. Awareness of EC 261 amongst passengers is crucial, the paper argues. Claim agencies play an important part in the enforcement element of the Regulation. The authors explain that “agencies charge a contingency fee to distressed passengers and credibly threaten to sue airlines in case of non-compliance. Overall, significant improvements have been achieved in this dimension without regulatory changes”. The compensation amounts laid down in Regulation EC 261 make it possible for claim agencies to help passengers. “This suggests that, as long as compensation amounts are not reduced substantially, priorities for passenger rights reform should be placed elsewhere”. The study concludes that the EC 261 Regulation is “highly effective in reducing flight delays”. By placing financial incentives on airlines to do better, delays are effectively reduced. APRA fully supports these findings, which are mirrored by our own data. 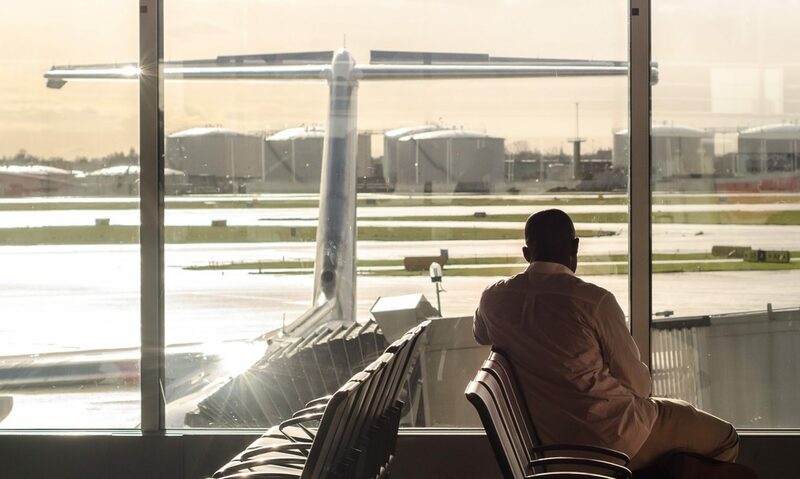 EU regulation gives passengers on a delayed flight the right to compensation of up to 600 euros, depending on the distance of the flight but Airlines are exempt from paying this if they can show there were “extraordinary circumstances” which they could not have reasonably avoided. 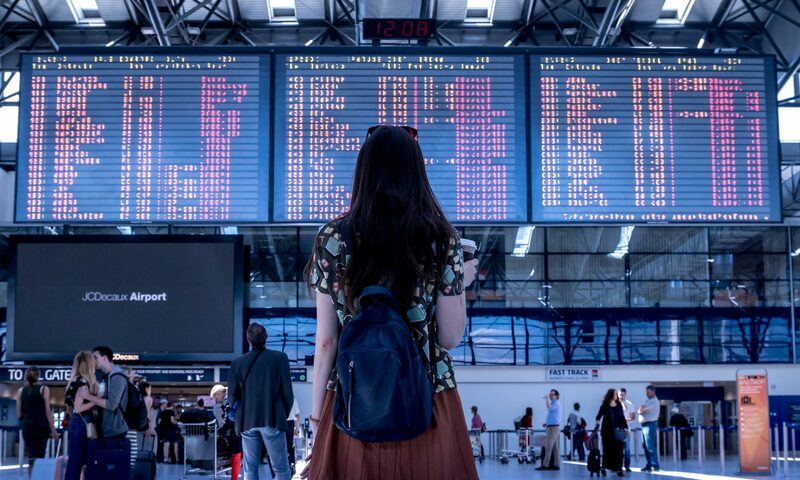 On Tuesday the 17th of April, the European Union’s top court ruled that from now on, airlines have to pay compensation for flight delays caused by internal strikes as well, as opposed to just union organised strikes. APRA welcomes the ECJ ruling as it increases legal certainty for air passengers throughout the EU. 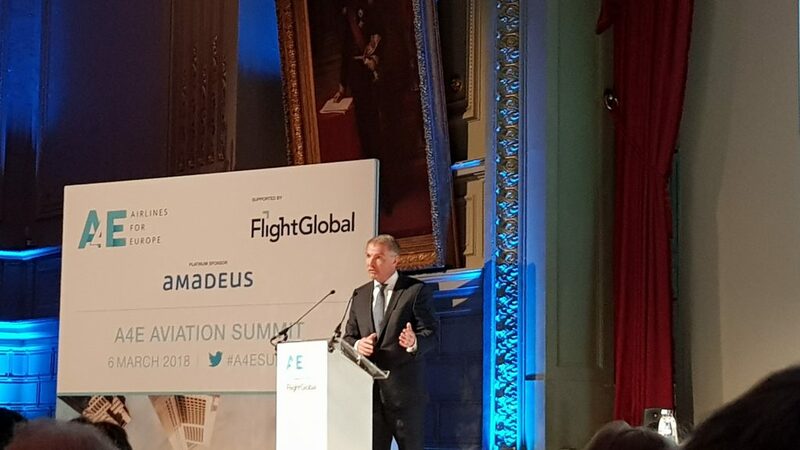 During the annual Aviation Summit, organized by Airlines for Europe (A4E) at the prestigious Concert Noble in Brussels today, Lufthansa CEO Carsten Spohr, who is also the outgoing chairman of the EU Airline Lobbying outfit A4E, complained about the rising costs related to complying with EU Regulation 261, which ensures passenger rights. Claiming that the Regulation needs urgent revision, Mr. Spohr accused the EU Council (the collective of EU Member States) of holding the file hostage over a dispute regarding Gibraltar. According to the CEO, Courts and Judges across the EU apply the Regulation differently, which creates uncertainty and brings about large costs. New Passenger Rights Group APRA Successfully Launched! 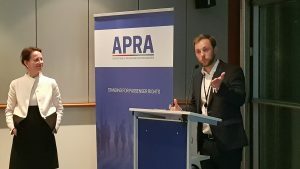 On 31 January 2018, during a cocktail event in the European Parliament, the Association of Passenger Rights Advocates (APRA) announced itself as the new player on the Brussels policy scene. Policy makers from all institutions, as well as airlines and other stakeholders came together to debate the need for strong and clear passenger rights. Passengers missing in important discussion on the future of EU aviation. On 17 October, APRA attended the Airlines for Europe (A4E) CEO Forum: Efficient Air Transport for Europeans. 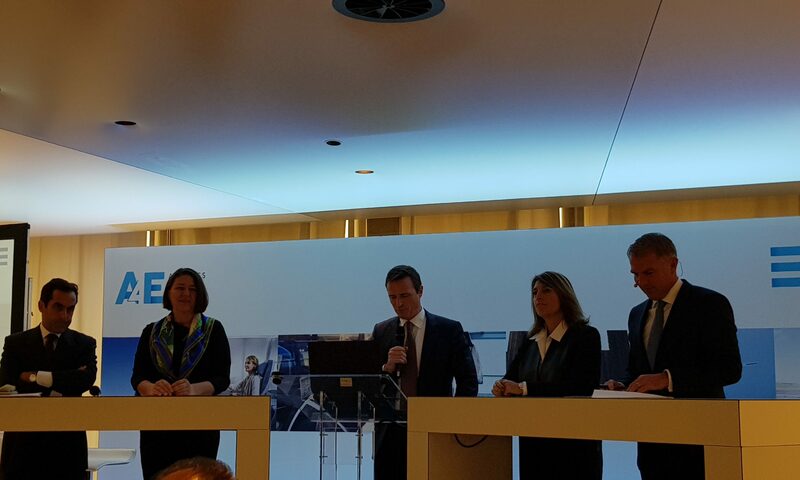 The event keynoted by Transport Commissioner Violeta Bulc and headlined a number of Europe’s largest airline CEOs, as well as representatives of EU airports.